I thought it was gusty to name a record, “Terrible Terrible”, but Katie Davis doesn’t have to worry about it. She’s that good. She’s got this great mournful vocal style that is just achingly beautiful. The songwriting is so heartbreaking that it actually sounds like her guitar is crying. (There’s a Beatles song in there somewhere). Though Davis is honest about the fact that her songs are sad, these aren’t just weepies. These are really solidly written songs. With the backing vocals and the string arrangements these become very intricate songs. With lyrics like “I have loved you for so long/I don’t know if I can stop” (from “Movie”) you can’t help but love this stuff. The only downside is this is far too short. 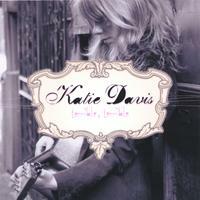 I would love to hear a full length CD from Katie Davis soon! For now I’ll just set it up with the shuffle and repeat button on.